Quality is the name of our game. We strongly believe in providing a great overall experience for our clients. From the moment you walk into one of our conveniently located stores, you will be impressed. No wonder many Realtors and Property managers visit our stores. They rely on our expertise before investing and remodeling on many properties. If you want expert advice, then we are the company location to get it from. Did you know that every slab of Natural Granite we carry tells a tale? Literally, thousands of years went into the process of nature creating some of these rock formations. Imagine your kitchen countertop being created with that type of intricacy. The beautiful patterns etched into some of these natural stone slabs is why many people choose this route. You will find variety and sophistication at a super cost effective price. Our approach to the kitchen and bathroom remodeling is not only superior but incredible. Supreme International USA, Offers wide Range of Home improvement Products & Services. 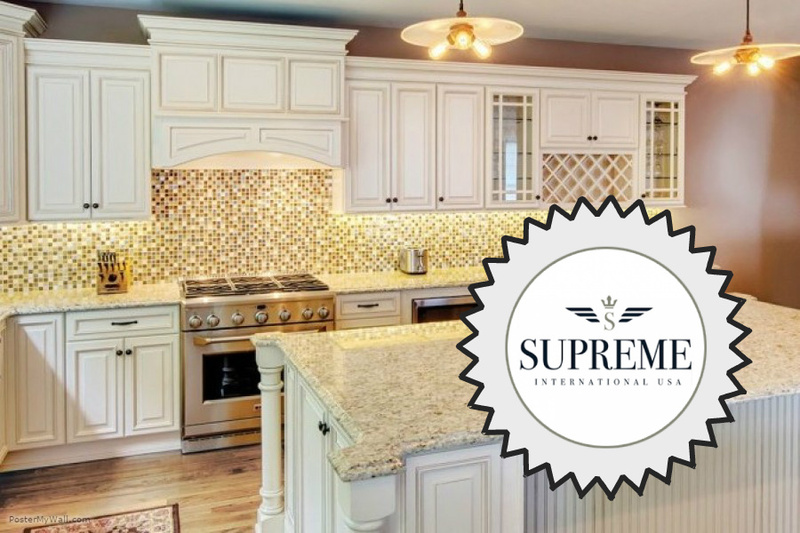 From 100% Wood Cabinets, Granite, Marble and Quartz Countertops to much more. We also offer a wide range of floors from Porcelain, Ceramic, Marble and Granite Tiles. Our locations also specialize in Engineered or Laminated wood Products as well. We have two convenient locations in Central Florida for your convenience. Our flagship location is in Orlando and our newest location is located in Tampa, Florida. We encourage you to stop by and take a look at our incredible showroom. If you any questions do not hesitate to call us anytime and tell us a little bit more about what you envision as the perfect kitchen.